With Raj (Kunal Nayyar) engaged, Bernadette (Melissa Rauch) and Penny (Kaley Cuoco) decide to befriend his fiancée Anu (Rati Gupta) to learn more about the woman he’ll be spending his life with. 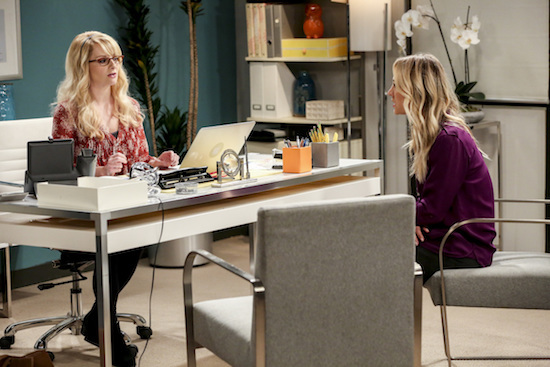 "The Tam Turbulence" -- Pictured: Bernadette (Melissa Rauch) and Penny (Kaley Cuoco). When Sheldon won't tell anyone why he's never mentioned Tam (Robert Wu), his childhood best friend, Leonard takes matters into his own hands. Also, Bernadette and Penny take out Raj's fiancÃÂ©e, Anu (Rati Gupta), for dinner to get the skinny on her, on THE BIG BANG THEORY, Thursday, Oct. 11 (8:00-8:31 PM, ET/PT) on the CBS Television Network. Jerry O'Connell returns as Sheldon's brother, George. Photo: Michael Yarish/CBS ÃÂ©2018 CBS Broadcasting, Inc. All Rights Reserved.